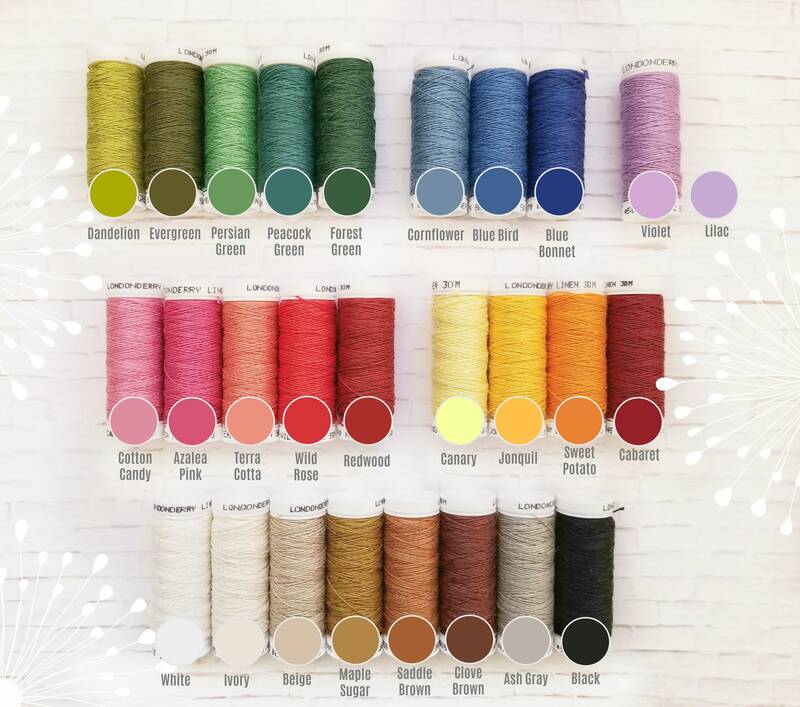 Colors: 27 colors available, refer to the Color Chart Image #2, and advise color at check out in "Message to Seller" section. This is a lovely, matte finish thread. It is thinner than 12 perle cotton and has more body. 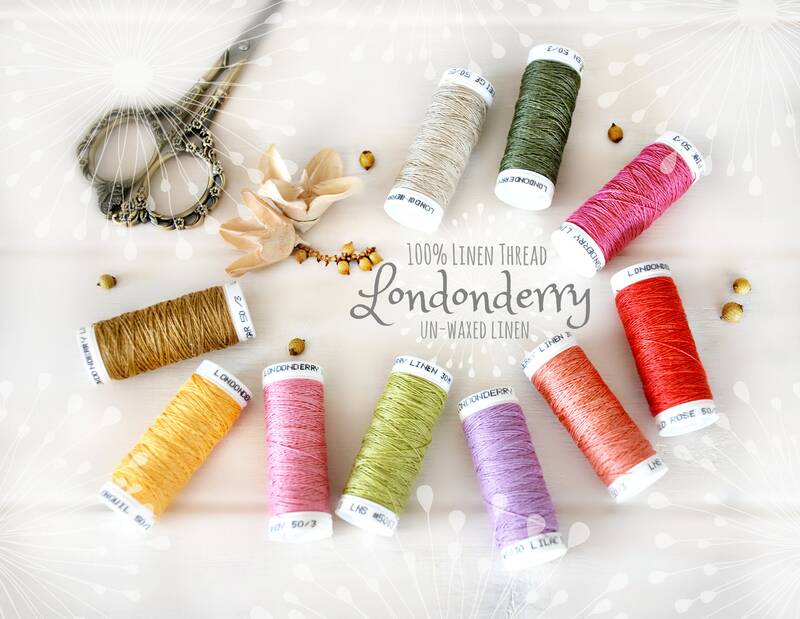 The thickness and color varies throughout the thread. It works well for embroidery and its strong enough for hand quilting. I used it on the pincushion below as embroidery on the upper back ground. Its a great addition to my embroidery threads!